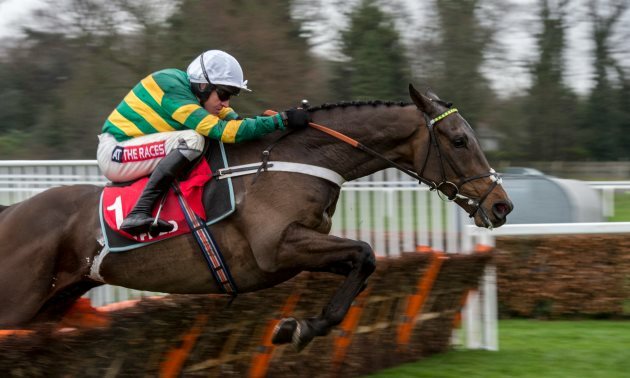 We take a long-range look at the 2020 Ryanair Chase at the Cheltenham Festival and give you our best ante-post bet - a top novice chaser this season who looks overpriced at 20/1. This year’s Ryanair Chase looked one of the strongest fields assembled for some time, the first time that five horses with a Timeform rating of 165 or above had contested the race, yet it didn't quite live up to expectations, as so often on the New Course, the advantage seeming to lie with those who raced handily. However, that's not to take too much away from the hugely tough and likeable winner Frodon, typically jumping superbly under Bryony Frost, who became the first female rider to win a Grade 1 at Cheltenham. Paul Nicholls’ likeable chaser is still only a seven-year-old, so there is every chance he will be back to defend his crown, given he isn’t a horse that leaves the impression he would be suited by the test that a Gold Cup would bring. 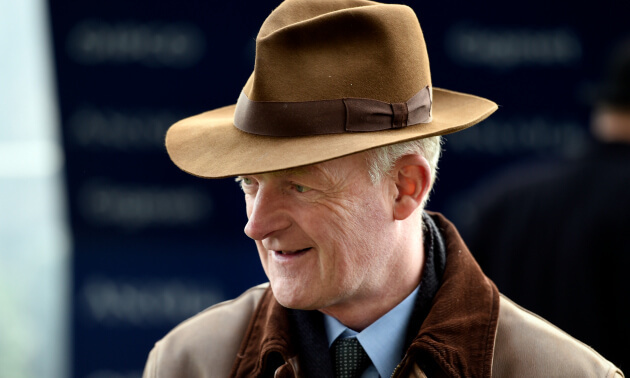 His record on the New Course at Cheltenham is a superb one, as is his partnership with Bryony Frost, and he looks fairly priced at around the 16/1 mark. However, this season’s crop of novices looked a strong one and there could be some new kids on the block come next year. The winner of the JLT Novices’ Chase, Defi du Seuil, has been popular in this market over the past few days, having won with a bit up his sleeve at the Festival. He has enjoyed an excellent first season over fences, winning three of his five starts, proving himself a very smart novice. Both he and Lostintranslation have enjoyed a ding-dong battle on their last three starts, but it was Defi du Seuil who settled the score in the JLT, making it 2-1 in his favour. A strong traveller who possesses a nice turn of foot, Defi du Seuil has all the right attributes to progress into a top-notcher next season, but taking a relatively short price of 10/1 about him at this stage makes little appeal. Lostintranslation, on the other hand, is more than double his price, but that is probably because he strikes as the type who will be suited by a sterner test of stamina next term. 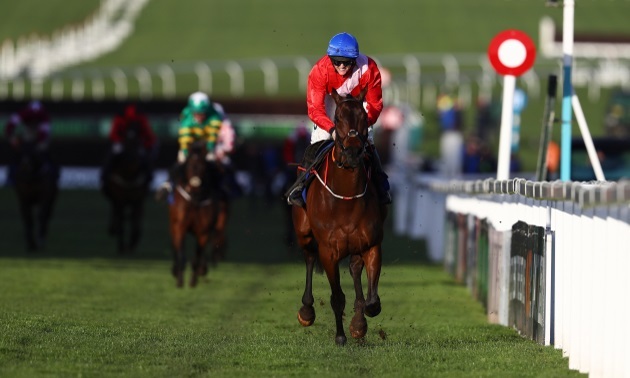 He might have lost the decider in his personal battle with Defi du Seuil at Cheltenham, but he emerged with both his rating and reputation enhanced, at a time when the yard weren’t firing on all cylinders, too; he is the type that will improve again next season for three miles plus. Cyrname, who has certainly announced himself as a top-class chaser this season, is another who sits prominently in the ante-post market. The manner of his last two wins at Ascot have been nothing short of extraordinary, both times playing a game of catch me if you can with his rivals who could not lay a glove on him. The timefigures have also backed up his performances, so there’s no denying he is a much improved performer this season, but all of his best form has come on flat, right-handed tracks. That’s not to say he can’t reproduce those sort of performances elsewhere, but when looking for a bet in a race this far out, you need to be assured, and odds of 12/1 don’t whet the appetite. One horse who is proven at the track, albeit on the Old Course, is this year’s Close Brothers Novices’ Handicap Chase winner A Plus Tard. 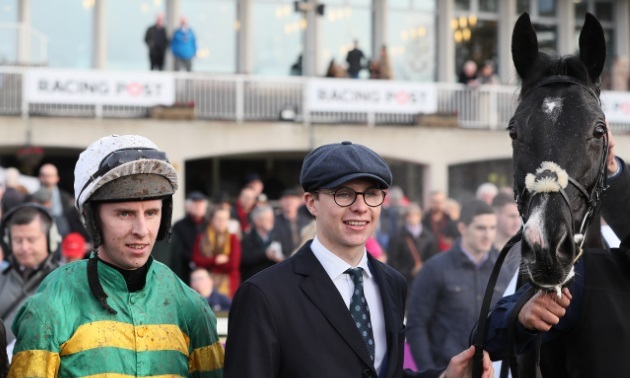 He was a warm order coming into this year’s Festival, not surprising given the form he had in the book, beating the subsequent Arkle winner Duc des Genievres in a maiden chase in December, and then running creditably behind another improving type in a Grade 3 contest on his next start. All in all, a BHA mark of 143 was a gift in hindsight, and it was very hard not to be impressed by the style of his victory, his jumping an exhibition as mistakes were being thrown in all around him, and Rachael Blackmore only having to give him a little squeeze between the last two and he powered away from his rivals. There’s no doubt he would have been a big danger to Duc des Genievres had he contested the Arkle a couple of hours earlier, but his strength at the line suggests that two and a half miles is his trip, and he looks a bona-fide contender for the Ryanair in 12 months time.